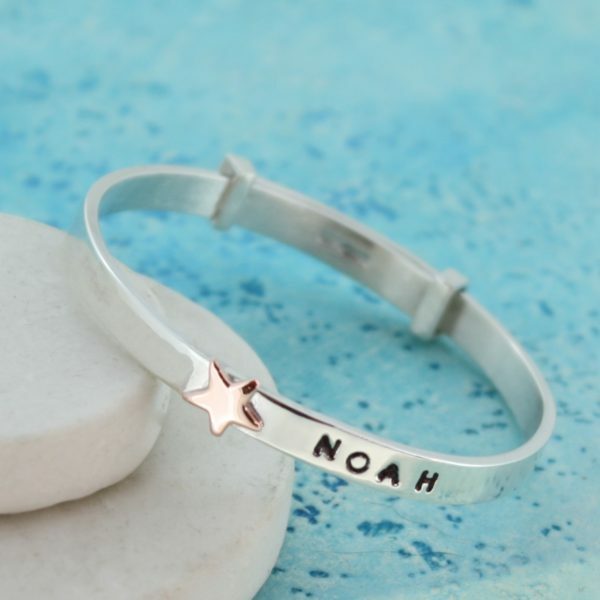 This very special little boy’s or girl’s Christening Bangle with a rose gold or copper star is entirely made by hand in my Cornish studio. 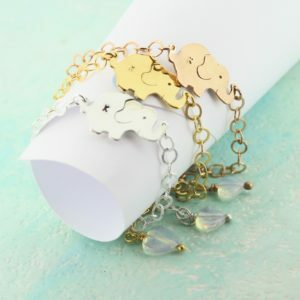 This bangle is perfect for a little boy or girl for any occasion such as a Christening, Baptism, Baby Naming or birthday. Its also suitable as a Baby’s First Christmas gift. Because we make this bangle by hand, we are able to make it more substantial than the average Christening bangle so it will be a family heirloom for generations. It is made to adjust to fit a baby from birth up to about 5 years old, depending on the size of the child. If you need a larger size please ask. 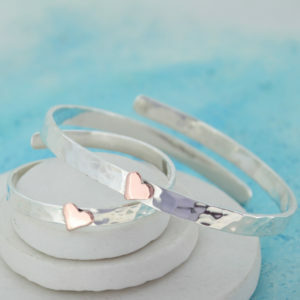 The bangle is made from solid sterling silver and the heart is available in either copper or 9ct rose gold. 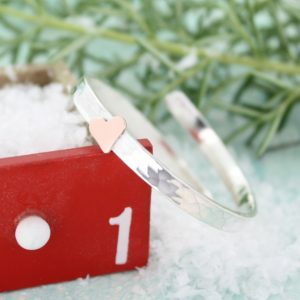 You can personalise your bangle with a short message of your choice up to 15 characters, so you can have a name and a date, or whatever you like to make it special. 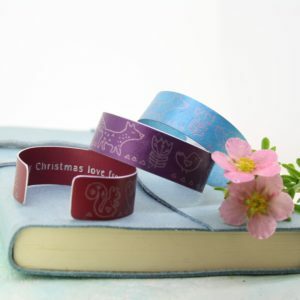 The lettering on this particular bangle is stamped on the outside so will have the added charm of being slightly uneven.